Baby dress knitting patterns are a great way to show off your knitting skills, but also a beautiful way to dress up your baby girl. A pretty knitting pattern for a baby girl dress is also a great baby shower gift. This page has several free adorable baby dress knitting patterns and a beautiful downloadable baby dress knitting pattern. You certainly don’t lack options to how to dress your baby. diaper covers, overalls, baby hats, and booties, baby cardigans and baby cardigans. But a baby dress is very special. People love the cuteness of a precious baby all dressed up. There is a wonderful variety of knitting patterns for making baby dresses. They can be for the advanced knitter but also for the beginner. You just need to pay attention to the details of the pattern before you begin. Or you can come to a blog that has done the work for you. I have chosen several baby dress knitting patterns for you to choose from and I have determined what skill level each one is. That way you will have the best chance to succeed in your next knitting project. I have also included a downloadable pattern that is absolutely adorable and you will be successful with these instructions guiding you. Enjoy this one! Very Pretty little pattern for a newborn baby. It is a top down knit dress and a simple lace pattern for the skirt. The pattern says it will take about 300 Yarns of DK yarn. This is a free pattern, available for immediate digital download. Simple and quick to knit. You could have this one complete in just a few sittings. It has a very simple lace pattern. You’ll be able to learn the pattern easily or follow the chart. this beautiful little dress is knit in the round from the hem to the bodice, then it is knit in rows to make the bodice, arms and neck. It is very beautiful, and just waiting for you to put your touches to it, with color and yarn choices. . This is not a free pattern, but reasonable price, available for instant digital download. This baby dress knitting pattern can be personalized with your own touches. 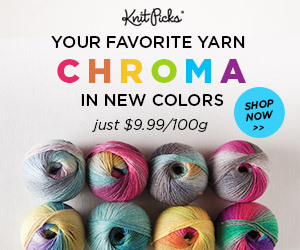 What colors you use, what yarn and what color ribbon. You can have fun with this one. It is for intermediate knitters, and is very special. It is a Free pattern available for immediate digital download. Beautiful and detailed baby dress knitting pattern. Knit from the top down, has yoke bodice and detailing with buttons down the back. So pretty and although this is not a free pattern It is very reasonably priced and available as a download once payment received. A precious little short sleeved baby dress knitting patterns, with lace and a textured pattern. Comes with instructions for multiple sizes. This is a free baby dress knitting pattern and is available for instant download. Very sweet little smock type dress that could be worn as a dress or over leggings or pants. This pattern comes in sizes 6-9 months. or 9-12 months. The pattern is suitable for the intermediate knitter. This is not a Free Pattern but is very reasonably priced and is available for digital download after purchase. One of the most Absolutely beautiful lace design baby dress knitting patterns I’ve seen. 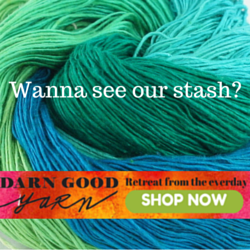 Be sure to use a soft light weight baby yarn so the pattern will really stand out. And I would think a solid color would work best for showcasing your work. Truly a heirloom piece that will be loved by all. This is a Free Pattern that is available for instant digital download. The fact that this is one of the top down Baby dress knitting patterns means it will be easy for you to complete. Once you get the neck and sleeves done, it will be complete before you know it because it is easy knitting. There is some eyelet decorative knitting on the bodice that makes it very feminine. But it is a straight forward little piece that will thrill anyone you give it to and you will have all the fun of knitting it. Tension: 22 stitches equals 4 inches.